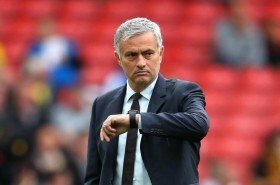 The duo were unused substitutes during the club's recent 4-1 Premier League win over Fulham but Mourinho has indicated that they would make the starting lineup against Los Che in a post-match conference via Sky Sports. Pogba has found himself starting from the bench in three of the previous four matches for the club but he has the opportunity to prove his credentials in the Wednesday night game at the Mestalla. Pereira, on the other hand, has been unlucky to find himself out-of-favour with Mourinho tending to favour experience over youth when it comes to the midfield duties. The Brazilian featured for the Red Devils during the opening two league games but he has since gone out of contention with Nemanja Matic taking up his position after an injury comeback.